San Francisco – Contrary to Mayor Ed Lee’s claim in a press release issued yesterday by the Mayor’s Office, the Superior Court issued an important victory for Bayview environmental health advocates by blocking the proposed early transfer of the toxic parcels of the Hunters Point Superfund site. In a victory for Bayview Hunters Point community and environmental justice groups, a superior court judge ruled this week that a City of San Francisco Environmental Impact Report (EIR) unlawfully approved a plan for the early transfer of parcels at the U.S. Navy Hunters Point Shipyard, a Superfund site, without an environmental cleanup. “The court finds that the EIR does not adequately inform the public that the developer proposes to remediate portions of the shipyard instead of the Navy under an early transfer agreement. 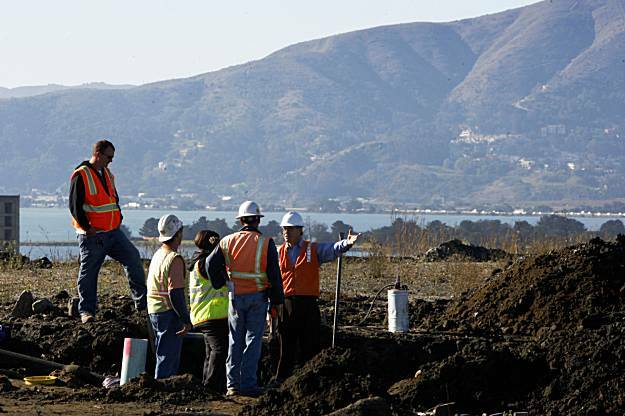 … Therefore, the court orders that the development of a parcel at the shipyard site may not proceed until the CERCLA remediation process for the parcel is complete and approved by regulating agencies as safe for human health and development, unless an early transfer is approved after completion of environmental review in compliance with CEQA,” according to the judge’s ruling. As of now, none of the parcels of the shipyard proposed for development have undergone a complete environmental remediation approved by regulatory agencies. The court’s ruling blocks the City of San Francisco’s efforts to immediately transfer contaminated shipyard parcels to the Lennar Urban Corp. for a proposed construction project on the 702-acre Superfund site. City officials and Lennar claimed there was no need for the EIR to evaluate the environmental and health impacts of an early transfer of contaminated shipyard parcels to the City and Lennar prior to an environmental cleanup. However, the court found no legal basis for this claim because the California Environmental Quality Act required the City to evaluate these impacts. The court also determined that the EIR inadequately informed the public that the plan for early transfer would make the City and Lennar, not the U.S. Navy, responsible for the cleanup of the contaminated shipyard parcels. Pollution problems at the Hunters Point Shipyard date back to World War II, when the Shipyard’s massive dry docks were used to build and repair U.S. Navy warships. Fuels, solvents and lead paint were routinely used – and dumped – at the facility. When atomic tests began in the South Pacific, radioactive waste was added to the toxic mix. From 1946 to 1969, the Naval Radiological Defense Laboratory at Hunters Point decontaminated ships and studied the effects of nuclear weapons. The shipyard was later leased to the Triple A Machine Shop, a company that was eventually charged with criminal violations for the illegal storage and disposal of hazardous waste on the property. In 1989, the shipyard was designated as San Francisco’s only federal Superfund site under the Comprehensive Environmental Response, Compensation, and Liability Act (CERCLA). Earthjustice, a non-profit public interest law firm, argued the suit on behalf of People Organized to Win Employment Rights (POWER) and Greenaction, two community organizations based in Bayview Hunters Point. The neighborhood is one of the most economically disadvantaged areas of San Francisco with a large minority population. Residents already suffer an elevated rate of asthma and other respiratory diseases. “This is a great victory for health and environmental justice, and for all the current and future residents of Bayview Hunters Point who don’t want to live or raise their kids on toxic soil,” said Marie Harrison, Greenaction community organizer and longtime Bayview Hunters Point resident. Jaron Browne, lead organizer for POWER (People Organized to Win Employment Rights), can be reached at jb@unite-to-fight.org or (415) 864-8372. A small step for Equality – A big step for Justice. Love, respect, admiration and congratulations to all. No Retreat – No Surrender. It is a good call. Hazardous materials may be present as debris. From the report, the navy taskforce cleaners have been excavating for such materials and are storing them in air tight dangerous goods cabinets for proper disposal. Am I missing something or did UCSF not have to clean up Mission Bay before Catellus/Southern Pacific transferred 43 acres of toxic land to the UC Regents? Did Lennar raise this as a defense?